Kia Motors showcases the all-new ProCeed in a new advert, part of the “Powe To Surprise” campaign. 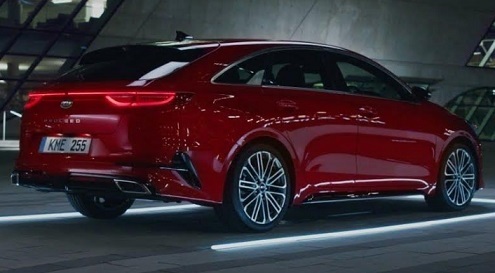 Titled “Bold Move,” the 30-second spot features a red Kia ProCeed GT-Line S speeding down the empty city streets at night. “Describe myself in a few words… I would say daring, stylish, definitely individual, and always confident,” a male voiceover says. As the ad concludes, a young man gets out of the Kia ProCeed and adds “But that’s me. Kind of bold. Just like my car”. The soundtrack music is the 2012 single “Change” by Australian record producer, musician and DJ Flume (Harley Edward Streten by his real name), from his self-titled debut studio album. The all-new ProCeed range includes GT-Line, starting from £23,835, GT-Line S, starting from £28,685, and GT, starting from £28,135. Among the available features are smart power tailgate, heated front seats, JBL sound system, Forward Collision-Avoidance Assist with Pedestrian/Cyclist Protection, radar-based Rear Cross Traffic Collision Warning system, Smart Parking Assist, and more.